Hello, and welcome to Studio NDR, the slice of the internet devoted to the queer and trans comics of Dylan “NDR” Edwards. The Scoop has the dirt on my newest comics and other artistic happenings. For my all-ages monster art, please visit the Feeping Creatures website. 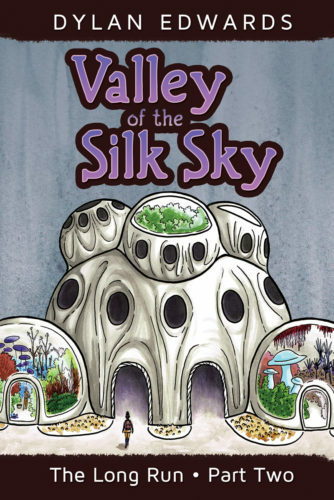 This collection includes chapters 6-10 of my webcomic Valley of the Silk Sky, and is now available as a print book and a PDF! Queer sci-fi/fantasy adventure webcomic featuring monotreme bee people. Oh, and some humans, too, I guess. Like my work? Here’s how you can help me keep doing what I do. 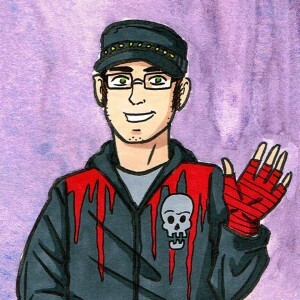 Conventions, art shows, panels, readings: this is where you can find me (Dylan!) or my art in person. Who is this “Dylan Edwards” “person”? Enh? Perhaps this bio will reveal the answers you seek. In case you need to drop me a line.